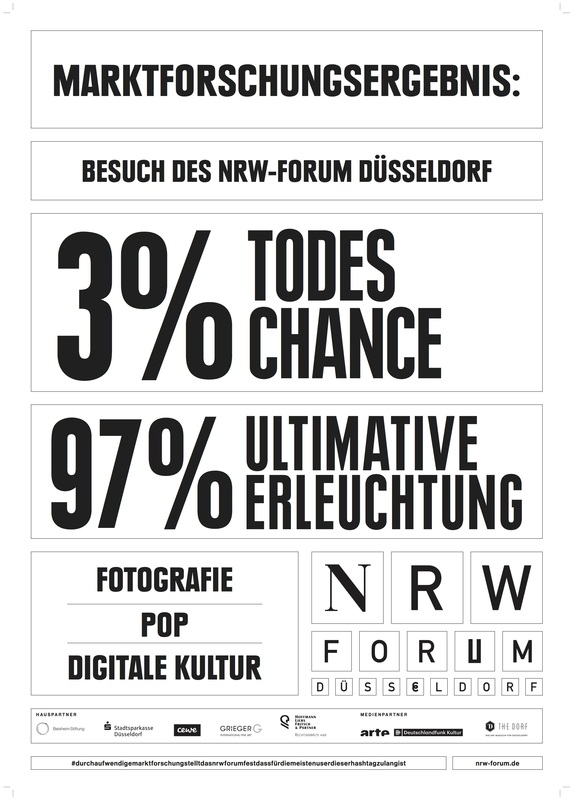 The world is increasingly being captured and analyzed in data. 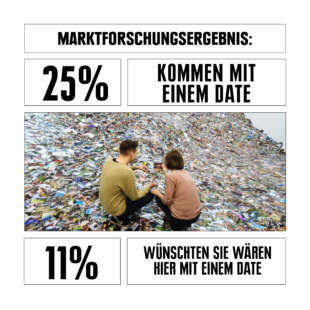 Big data technologies make it possible to store ever larger amounts of data and evaluate them more intelligently. Some talk of big data euphoria, dataism, even a data religion, others of the world's data collection frenzy and obsolescence. 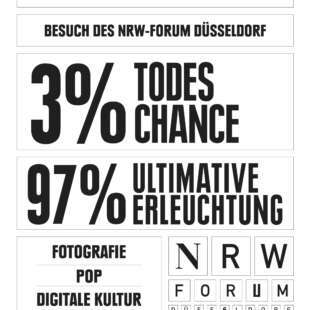 Better evaluation of larger amounts of data results in more precise marketing tools in addition to many other applications. 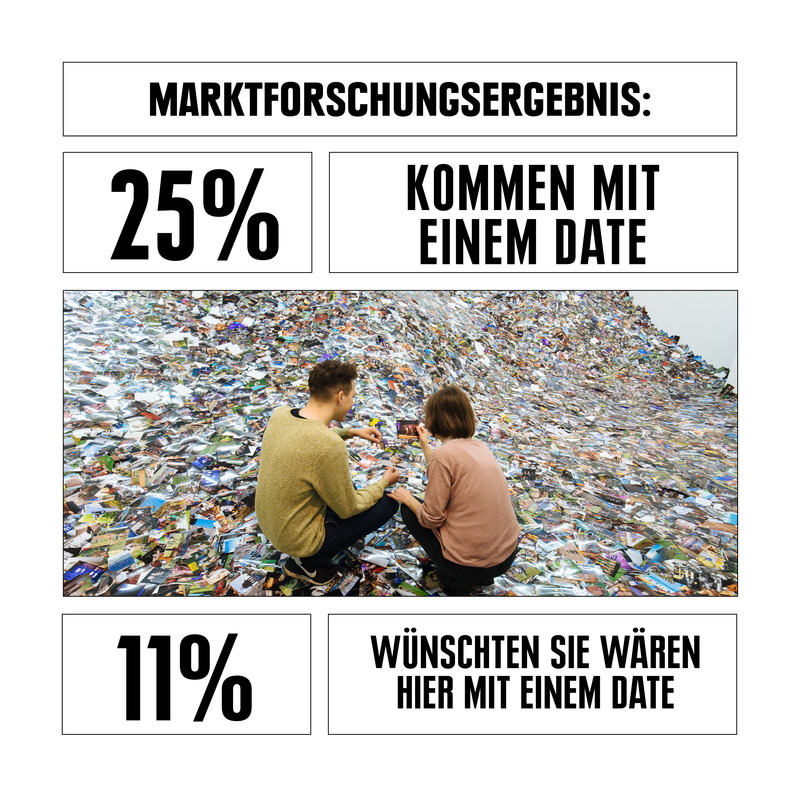 Legislation is responding to the huge flood of data with a new data protection law that came into force in Europe on 25 May 2018. 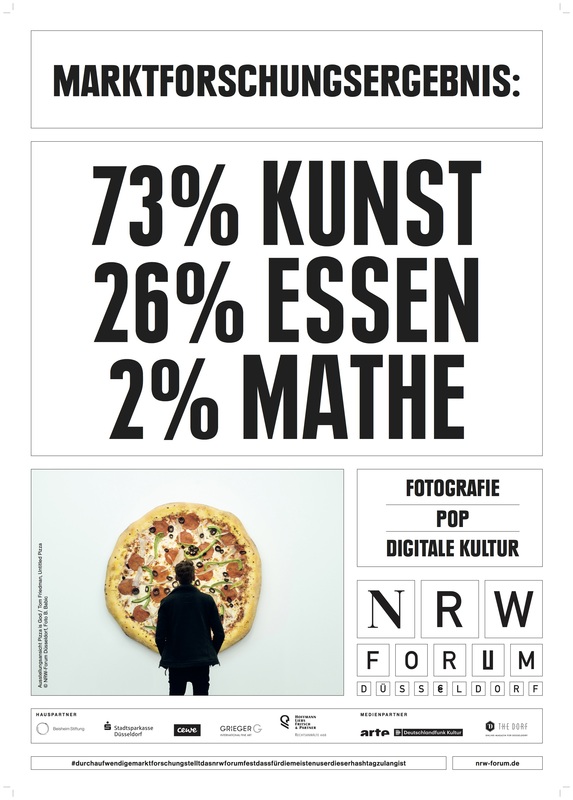 Artists and creative people also have to deal with the question at the moment: Big Data - Blessing or curse? 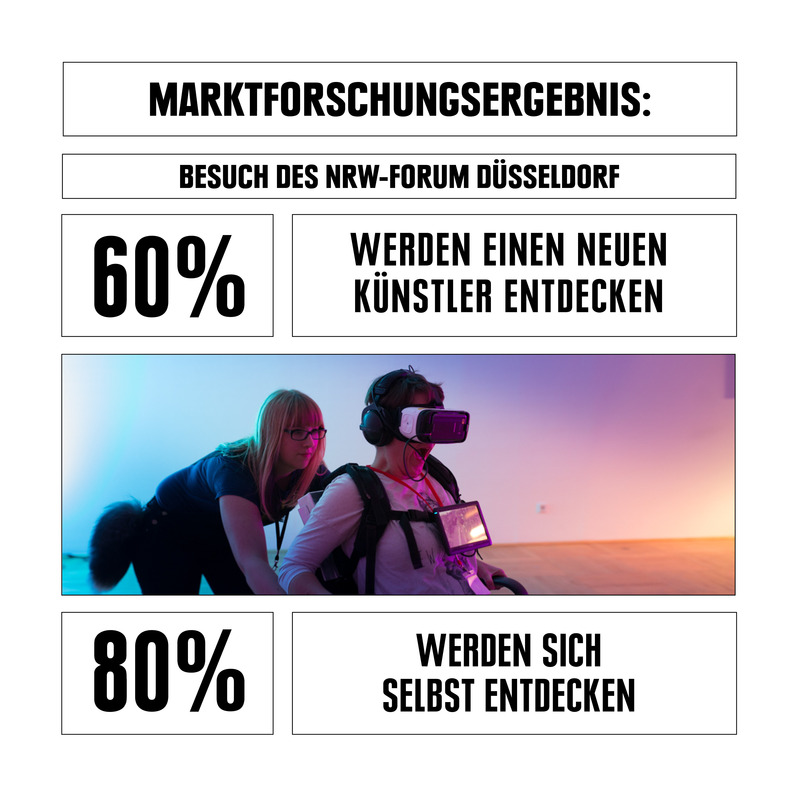 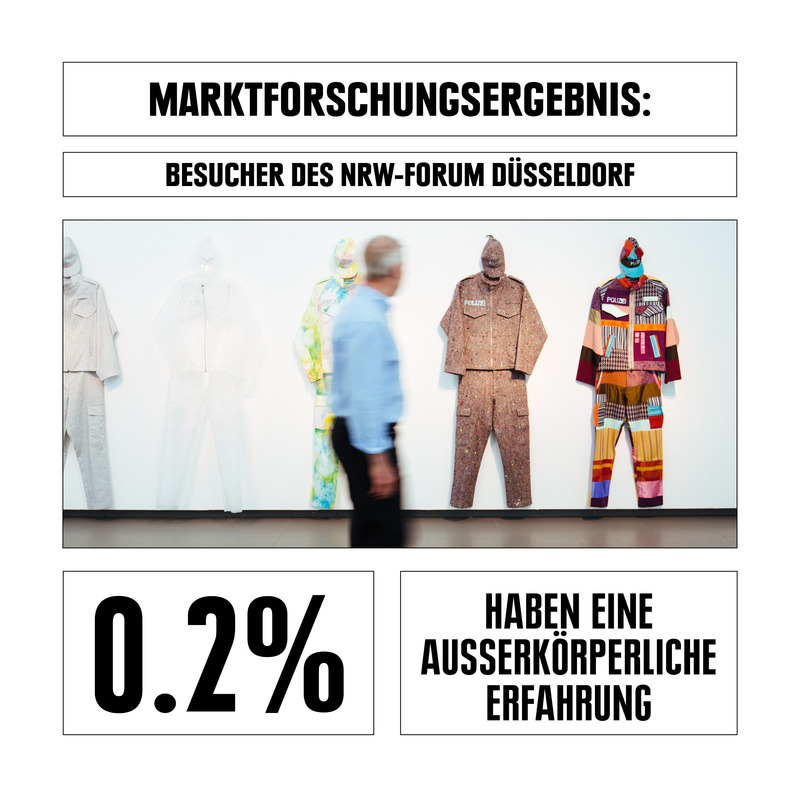 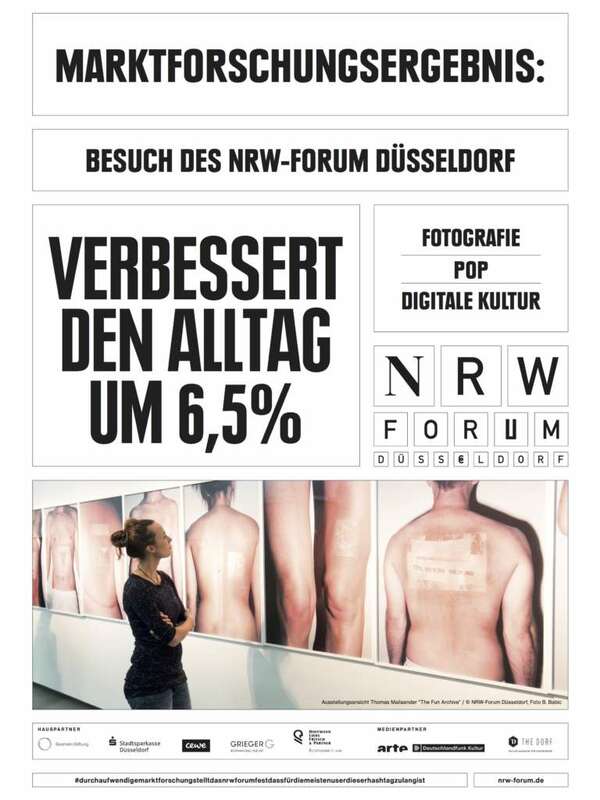 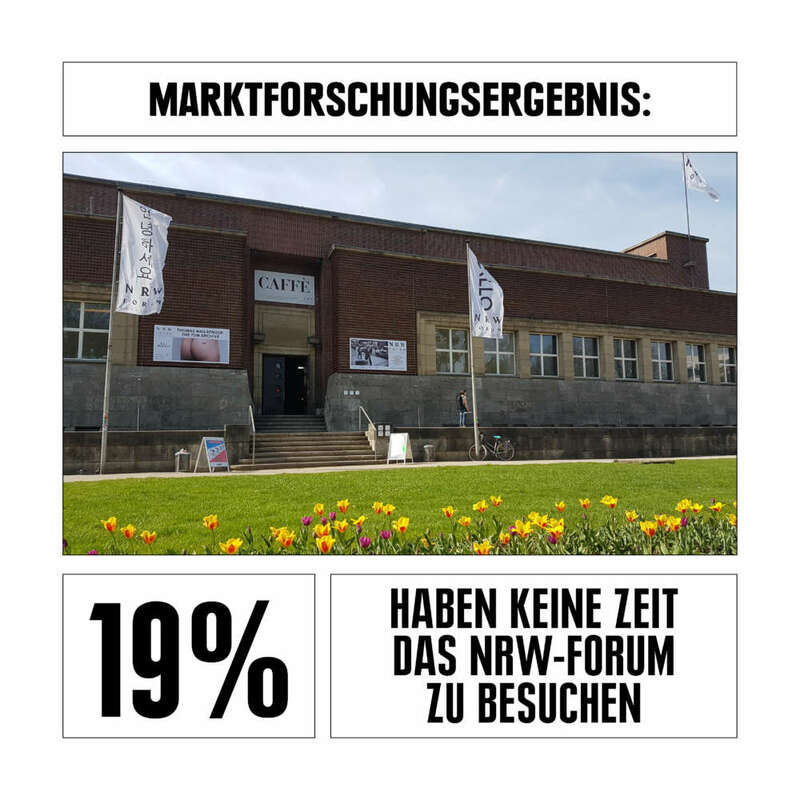 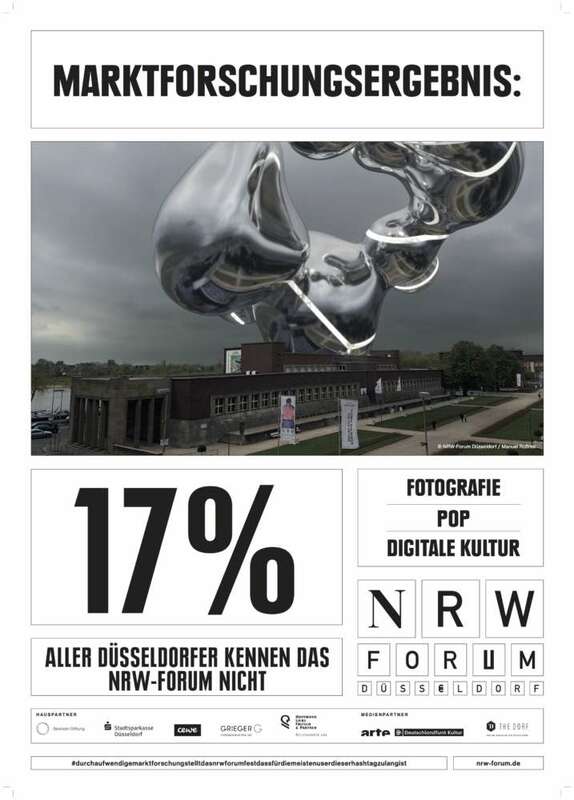 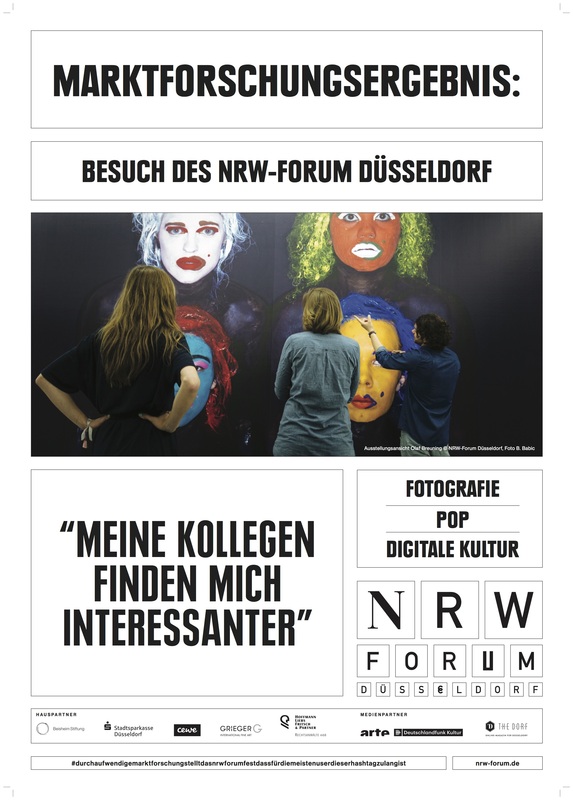 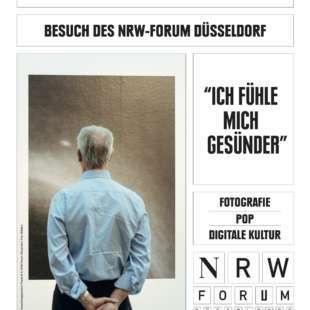 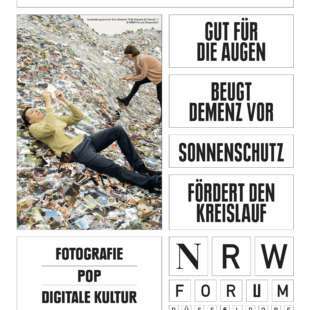 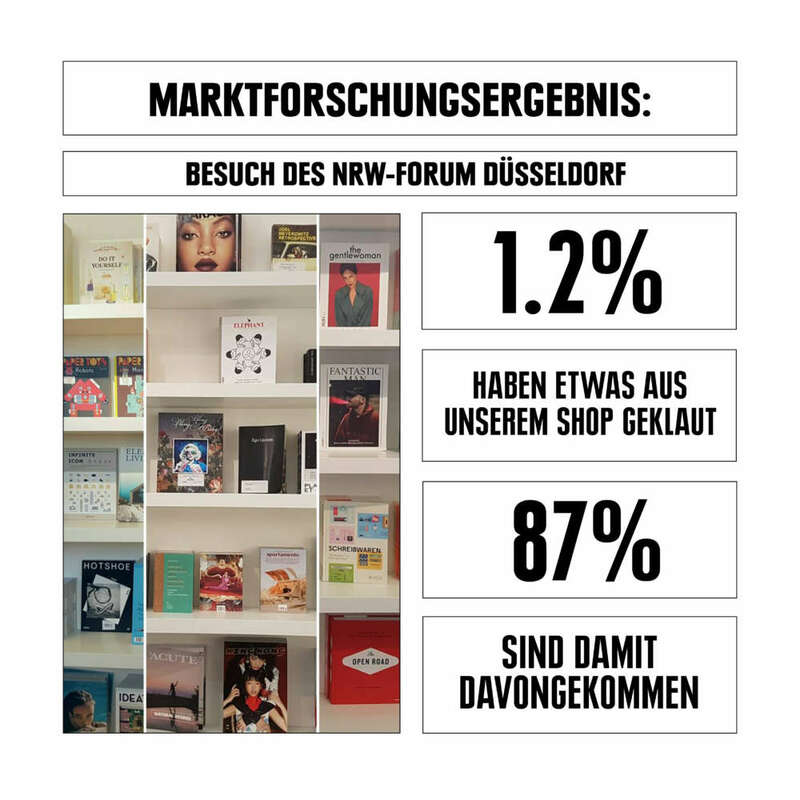 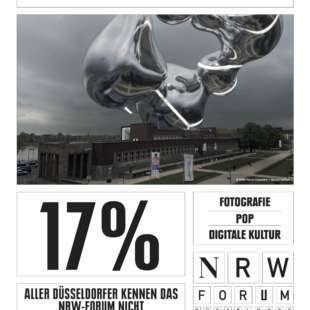 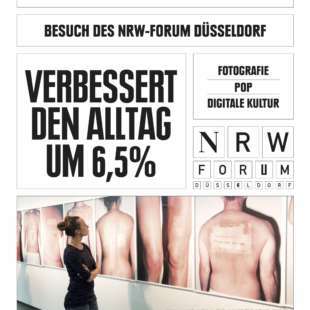 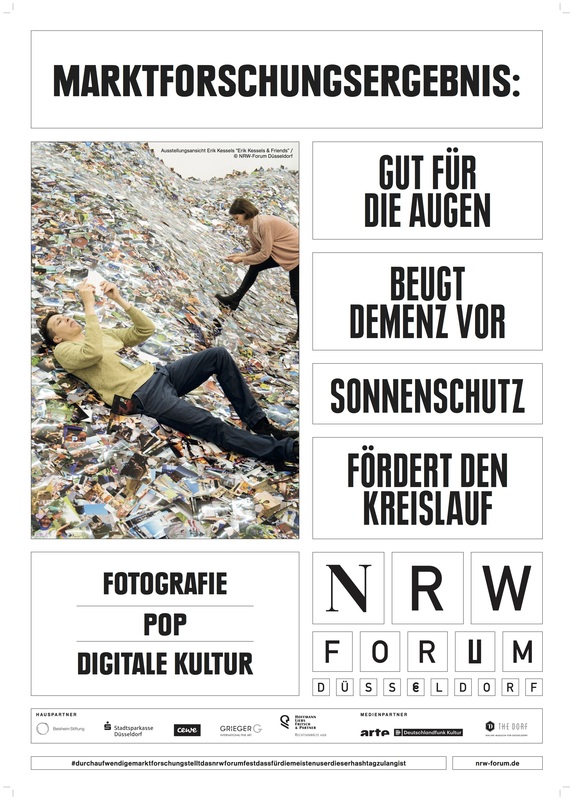 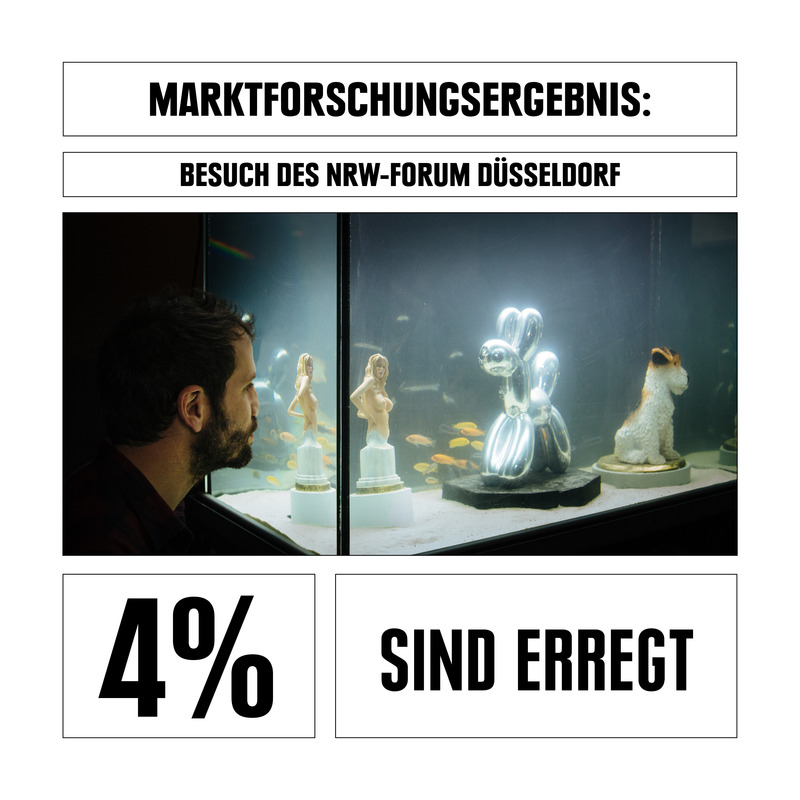 The citizens' survey conducted by the city of Düsseldorf in 2017 showed that 17% of those surveyed do not know the NRW Forum. 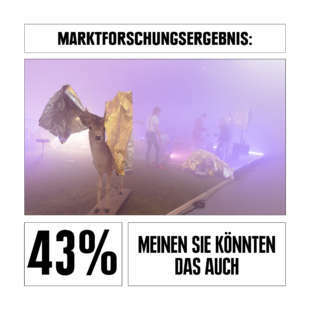 But only 1% are dissatisfied with the offer. 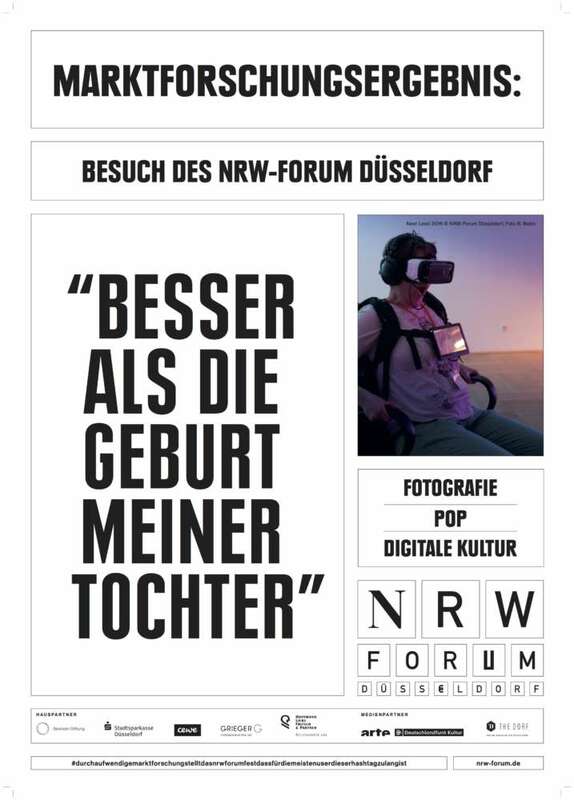 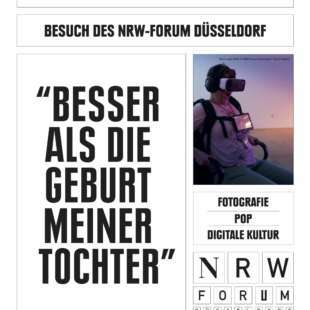 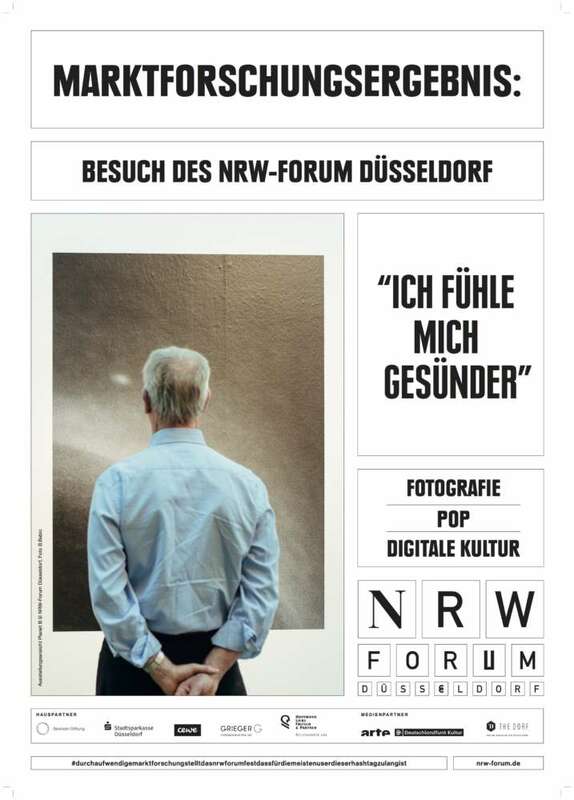 This is why the NRW-Forum is now taking the opportunity to draw attention to itself and its programme with a new campaign. 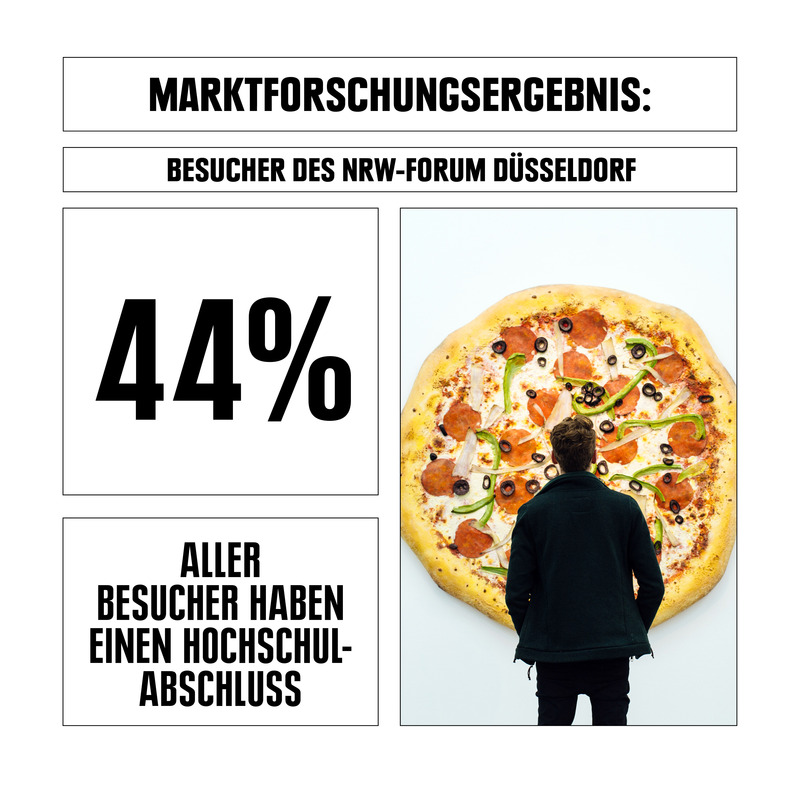 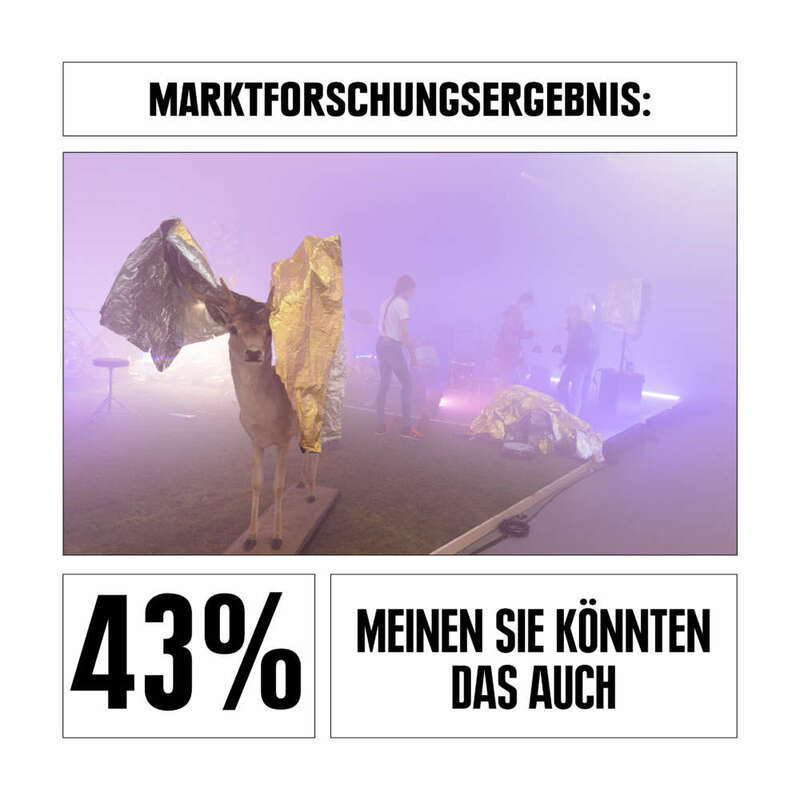 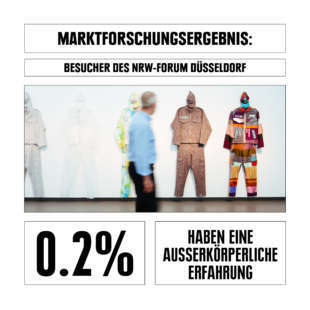 The international advertising agency KesselsKramer has designed a marketing campaign based on a public survey conducted by the City of Düsseldorf, its own surveys by the NRW Forum and the creativity of KesselsKramer. 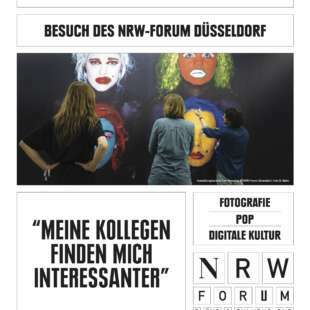 The multimedia campaign, which will start in summer 2018, consists of posters, trailers, advertisements, digital content and actions in public space. 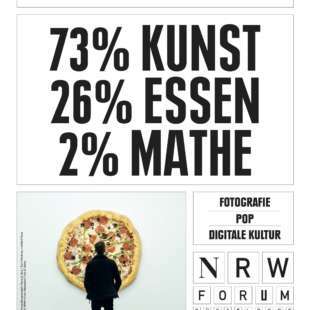 It presents facts and figures about the exhibition house and its visitors, but leaves the question unanswered: Is art really predictable in the end? Or does creativity conflict with statistics and forecasts? 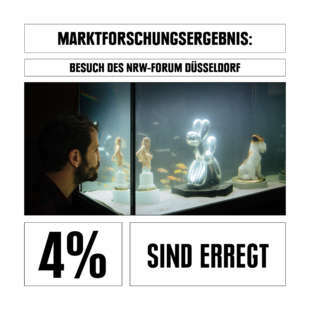 Which makes the campaign at least 26% funnier. 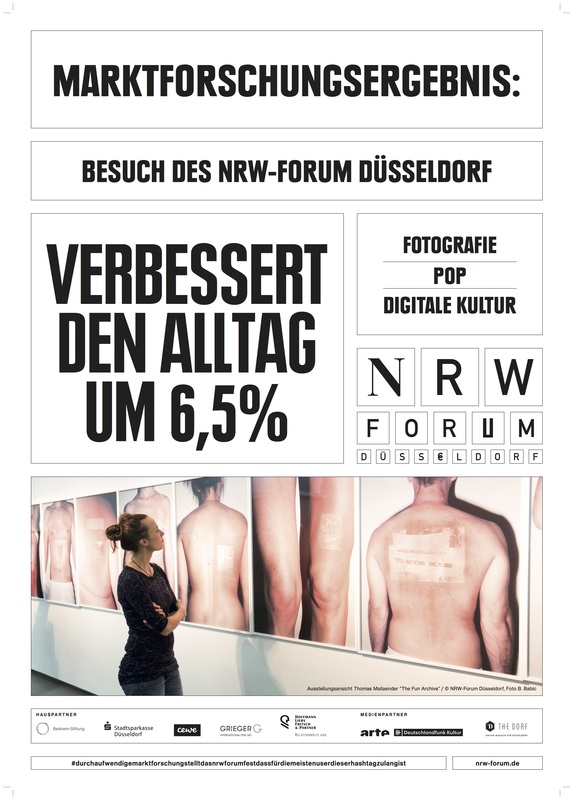 The listed image material can be freely used for topic-related reporting (in print and online media as well as via social media channels) and by naming the specified photo credits.